Nothing energizes a crowd like fireworks! For more than 100 years, we have committed ourselves to pyrotechnic excellence. At American Fireworks Company we strive to set the standards in the fireworks industry for safety and customer satisfaction. We will design and produce a spectacular display for your next event that will make fireworks the highlight of the night. No show is too big or small and we can customize your display for virtually any situation. Our goal is to provide every customer with the highest quality and most entertaining fireworks productions available at an affordable price. Conduct a comprehensive site survey. Design a custom display to create maximum excitement for your audience. Secure all local and state permits necessary for the display. Provide liability insurance for the display. Furnish all equipment and product for the display. Transport all equipment and fireworks to the display site. 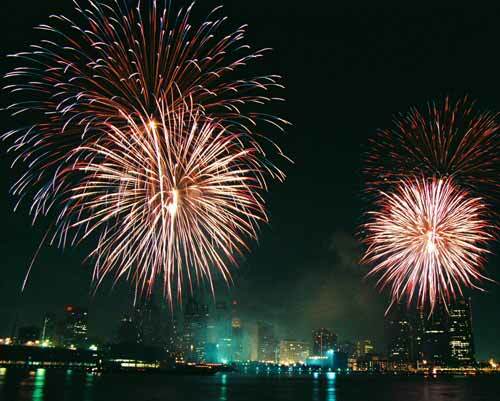 Provide a team of highly-trained pyrotechnicians to setup and fire the display.